Popping with colour, the modern Zig Zag Pillowcase is perfect for mixing & matching as your child grows. Your kids will love jumping into the coordinating multi-coloured chevron sheets at the end of a big day! 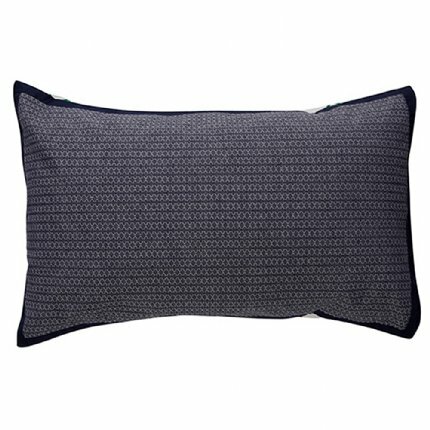 The Zig Zag Pillowcase is designed in Australia by Lilly & Lolly. Featuring a navy, green, red, orange & yellow chevron pattern, the Zig Zag Pillowcase creates a dynamic look to suit most rooms. The bold Multi Stripe Blanket is the perfect compliment to this range with its matching colours. Finish the look with a Fido Cushion and let this little pup guard your child's room!